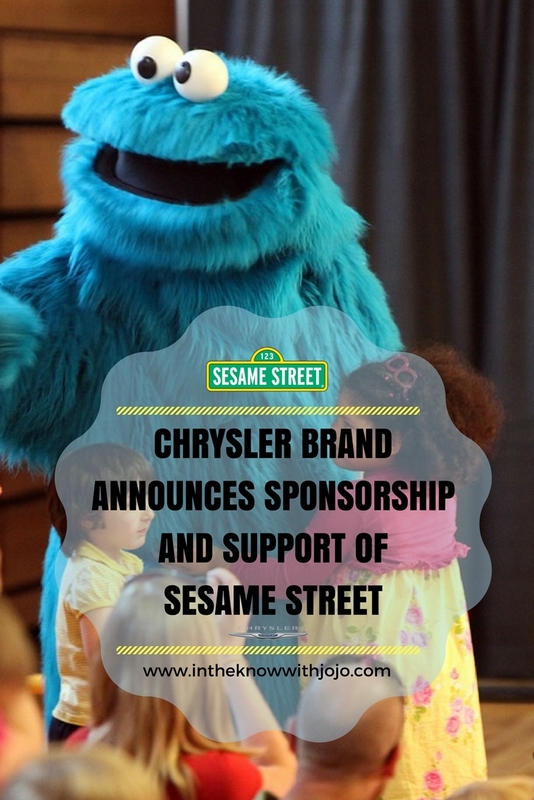 July 17, 2017, Auburn Hills, Mich. – Chrysler today announced that they are now a proud sponsor and supporter of Sesame Street, a commitment that includes supporting the show on PBS and original digital content. In addition to sponsoring the show on PBS, Chrysler is creating a multimedia campaign that will pair Sesame characters and the Chrysler Pacifica and Chrysler Pacifica Hybrid in ten co-branded videos for parents that will launch on Monday, July 17, across the brand’s digital and social channels, including Facebook, Twitter andInstagram. The first four videos, which can be viewed now on Chrysler’s YouTube channel, take viewers on an unexpected ride as the Muppets play “Listen, Drive, Surprise!,” a new game show hosted by Guy Smiley. The campaign was created and produced in partnership with Mediabrands Society, the Social AOR for FCA US LLC. The 2017 Chrysler Pacifica reinvents the minivan segment with an unprecedented level of functionality, versatility, technology and bold styling. Re-engineered from the ground up on an all-new platform, the Pacifica delivers class-leading gasoline and hybrid powertrains to the minivan segment. With more than 100 available safety and security features, the all-new Uconnect Theater rear seat entertainment system, and a full array of comfort and convenience technologies, the Chrysler Pacifica is a no-compromises minivan ideally suited for today's families and has earned its spot as the most awarded minivan of 2016 and 2017. The all-new 2017 Chrysler Pacifica reinvents the minivan segment with an unprecedented level of functionality, versatility, technology and bold styling. The Pacifica Hybrid takes this revolutionary vehicle a step further with its class-exclusive, innovative hybrid powertrain. It’s the first electrified vehicle in the minivan segment and achieves 84 miles per gallon equivalent (MPGe) in electric-only mode and 33 miles of all-electric range. With more than 100 available safety and security features, the all-new Uconnect Theater rear seat entertainment system, and a full array of comfort and convenience technologies, the Chrysler Pacifica and Pacifica Hybrid are no-compromise minivans ideally suited for today's families. Sesame Workshop is the nonprofit media and educational organization behind Sesame Street, the pioneering television show that has been reaching and teaching children since 1969. 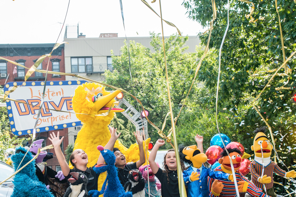 Today, Sesame Workshop is an innovative force for change, with a mission to help kids everywhere grow smarter, stronger, and kinder. We’re active in more than 150 countries, serving vulnerable children through a wide range of media, formal education, and philanthropically-funded social impact programs, each grounded in rigorous research and tailored to the needs and cultures of the communities we serve. For more information, please visit sesameworkshop.org. I always loved sesame street as a child. I'm so glad the Chrysler has stepped up and is going to help them be able to stay on PBS. I have said so many times that we just don't have good shows for our young children anymore. Descendants 2 Coming Out Today!